Although we don't always agree, I share a healthy skepticism with Bjorn Lomborg, author of The Skeptical Environmentalist and adjunct professor at the Copenhagen Consensus Center, Copenhagen Business School. 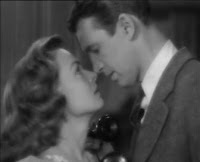 And, as his opinion piece in the Washington Post last week revealed, we are both concerned that the United States is "missing the opportunity of a lifetime," as Sam Wainwright said to George Bailey in "It's a Wonderful Life." Lomborg's assertion? That "the least effective use of resources in slowing global warming would come from simply cutting carbon dioxide emissions." In other words, we need to get beyond global warming concerns and focus on accelerating the new green economy. We are focusing on the wrong things. As an example, "solar panels are one-tenth as efficient as the cheapest fossil fuels. Only the very wealthy can afford them. Many 'green' approaches do little more than make rich people feel they are helping the planet. We can't avoid climate change by forcing a few more inefficient solar panels onto rooftops." The answer? We need to "dramatically increase research and development so that solar panels become cheaper than fossil fuels sooner rather than later," Lomborg asserts. "Imagine if solar panels became cheaper than fossil fuels by 2050: We would have solved the problem of global warming, because switching to the environmentally friendly option wouldn't be the preserve of rich Westerners." "This message was recently backed up by the findings of the Copenhagen Consensus project," according to Lomborg, "which gathered eight of the world's top economists -- including five Nobel laureates -- to examine research on the best ways to tackle 10 global challenges: air pollution, conflict, disease, global warming, hunger and malnutrition, lack of education, gender inequity, lack of water and sanitation, terrorism, and trade barriers." This group of experts did a thorough cost-benefit analysis of various response to these challenges. In the end, they "didn't conclude that the world should ignore the effects of climate change. They pointed out that a better response than cutting emissions would be to dramatically increase research and development on low-carbon energy -- such as solar panels and second-generation biofuels." I've long argued here in The Green Skeptic that we've missed the opportunity thus far -- a 30-year opportunity to invest in the kind of R&D that gave us the Internet and other technological and economic advances. Lomborg agrees. "The United States has an opportunity to lead the world on research and development," Lomborg argues. "Which would give it the moral authority to demand that everyone else do the same. The world's sole superpower could finally provide the leadership on climate change that has been lacking in the White House. "Even if every nation spent 0.05 percent of its gross domestic product on research and development of low-carbon energy, this would be only about one-tenth as costly as the Kyoto Protocol and would save dramatically more than any of Kyoto's likely successors." I concur. It's time to unleash the creativity and innovation that has long made this country a leader on the world economic stage, and set us on course for a low-carbon, economically prosperous future. A new green economy.